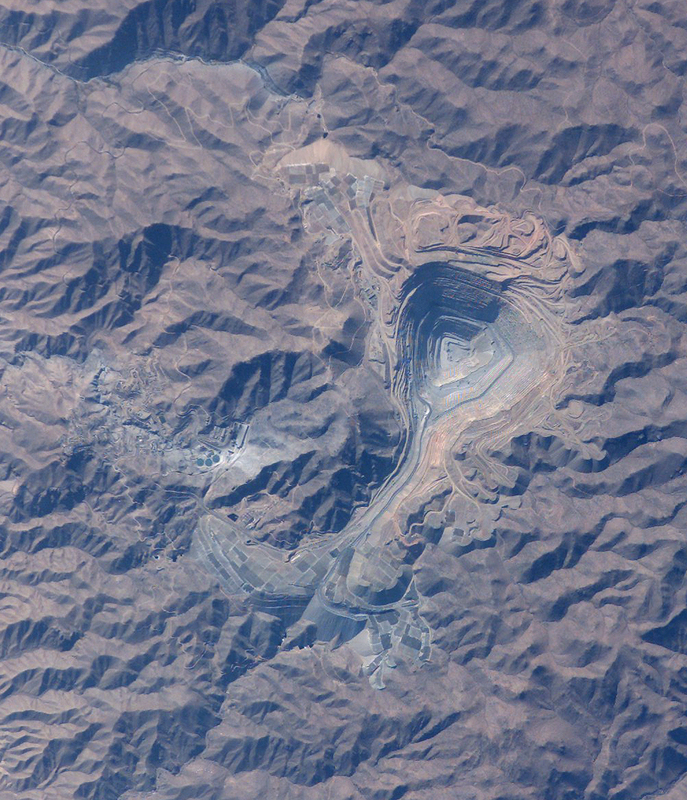 The Andes are home to some of the largest mines in the world. Toquepala is roughly 700 meters deep and runs, at its widest, 2.5 kms across. From the image, provided by NASA, you can see the man made mountains of deposit that run along the mine's northern section.